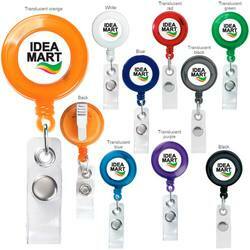 Colorful, practical, and attractive – this alligator clip transparent badge holder will be appreciated by staff. Alligator clip extends up to 30” for quick and convenient badge swiping. Prices may vary.